1. 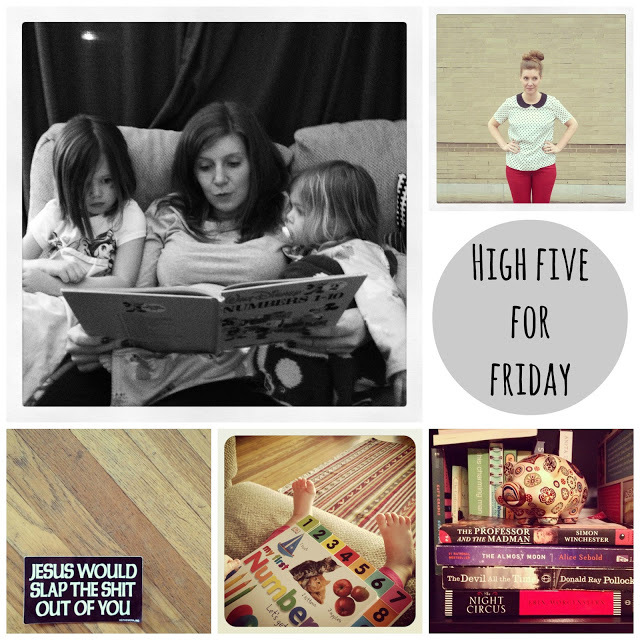 Storytime with Mama: my love of old and vintage books makes for some fun nights of reading. Counting with vintage Mickey? Why not! 2. My new favorite shirt and all the ways you can wear it. 3. Got a new-to-me stack of books from a friend this week and started The Professor and the Madman—so far, it’s really good. Book review on it next Friday. 4. Toddler toes–I could stare at those all day. 5. A gift from a co-worker which makes me giggle.